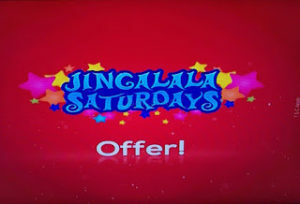 TataSky Jingalala Saturdays is a promotional scheme under which TataSky provides a random channel every week at Rs.1 for 1 month and this week you get English Movies Pack at Rs.1 for 1 month. Subscribe now !! >Method 4: SMS: By sending SMS ‘ADD EMEM’ to 56633. 3. Second month onward, a regular price per month will be applicable unless you cancel the plan before the next month begins. Further the English Movies Pack also offers 10 High Definition Channels .Any Eligible Subscribers upon payment of HD Access Fee and having HD/ HD+/ HD+ Transfer/UHD 4K set top boxes, can also avail the 10 High Definition English Movie channels under the Offer. Alternatively, these HD channels can also be subscribed to at applicable a-la-carte rates. Tata Sky Jingalala Saturdays English Movies Pack is a promotional scheme which is being offered by Tata Sky to its Eligible Subscribers. Eligible Subscribers shall mean a Tata Sky Subscriber who has an Active Account Status and does not fall within the category mentioned in B (1) of the General Terms. Under this Offer, on 16th September 2018, Tata Sky will offer English Movies Pack to its Eligible Subscribers at a discounted rate of Re.1/- for the initial period of thirty (30) days (‘Initial Period’) instead of the regular price of Rs.90/- per month charged by Tata Sky. For avoidance of doubt, it is clarified that if the Eligible Subscribers wish to (i) continue to avail the English Movies Pack beyond the Initial Period. Or (ii) discontinue the English Movies Pack subscribed by way of this Offer, and then again subscribe to the English Movies Pack at a later date. If made available by Tata Sky, the Eligible Subscribers shall then be charged the regular price of Rs.90/- per month or such other price as may be charged by Tata Sky at that period of time.